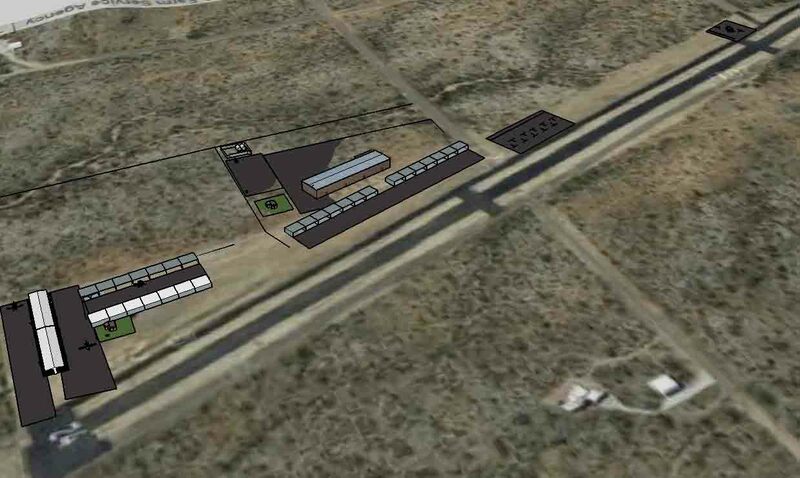 Located just south of Tucson, AZ and west of Green Valley, AZ, Ruby Star Airpark is an ideal location for winter visitors as well as year round residents to park their airplane. Given our 4,300′ paved runway, Ruby Star is perfect for those pilots who prefer a non towered field. The board of directors has allocated space for tie down, hangar and shade ports. Tie down space is available RIGHT NOW and while construction of the hangars and shade ports has not begun, we are ready and willing to listen to proposals to add these structures. Below is the tentative design plan we have in mind. If you are interested in parking your airplane at Ruby Star, please visit our contact page and give us a call.